Located on the Main Plaza. Hours subject to change pending weather and other factors. Kaman’s Art Shoppe features Photos, Face Painting and Handimals™ Hand Art. Create a lasting memento of your visit to the Zoo. With this fun “hands-on” experience, our artists will turn a child’s handprint into any animal desired. All orders are custom made within minutes. Prices start at just $10, with matting and framing available. Show everyone your wild side! One of our skilled artisans will help you select from one of our many wild designs, and then hand-paint the colorful image in just a matter of minutes! Our face paint has all the qualities of theatrical makeup; it is safe, non-toxic and simply washes off with soap and water! Prices start at $9.49. 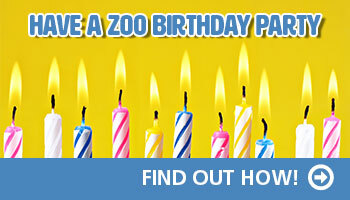 Whether you have a group of two or ten, this is a great way to remember your day at the Zoo! Our friendly photographers snap a quick shot of you and your party as you enter the park. A “no obligation” ticket allows you to view and purchase your photos at your convenience. Packages start at $14.99. A variety of other products featuring your photos are available. Fun Foto!+ exclusively grants club members access to their own unique website for the 2018 season, from which they can view, email, download or post their photos directly to Facebook. Louisville Zoo members are invited to visit Photo Memories locations to purchase their Fun Foto!+ membership, which includes all of their walk-around digital images from the date of membership purchase until the last day of the 2018 season. As a special offer, club members can also print 5″ x 7″ photos for only $5 per print. The Fun Foto! day pass program is for guests who want all of their photos for the day, but are not interested in the whole season. The program offers Louisville Zoo members the opportunity to aquire all of their walk-around photo images for the day of their purchase. Zoo members are invited to visit the Photo Memories store near the front gate to purchase their Fun Foto! day pass. Club membership includes all walk-around digital images for the date of purchase. Similar to the Plus program, members will also have access to private print price of $5 per 5″ x 7″ photo.